Sometimes when I need to do something else for a little while, I watch Egyptian television, Egyptian discussions, movies, or even TV series (مُسَلْسَلات). However, instead of getting some creative distraction, my brain usually gets overloaded because I encounter dozens of expressions that I unwillingly pay attention to resulting in getting lost in translation. 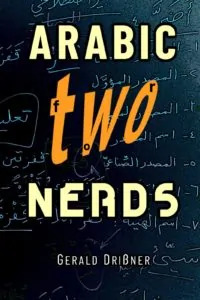 Arabic is, I mean, like, totally easy to learn, you know? Now delete I mean + like + totally + you know from the example above and you will get a sentence that still makes perfectly sense: Arabic is easy to learn. Please note that although they don’t really transport an important information, they do have a function for native speakers. But it takes a long time to get a feeling for these words, to know how and in which situations you could use them. If you hear the following expressions, try to disregard them. The literal translation won’t help you. Usually they don’t convey any additional information. For this reason I do not give a translation. If you progress you will get a feeling when and how to use them. But watch out: The word بَسّ is not always just a filler. 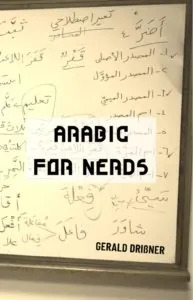 If you know more (also from other Arabic dialects), please feel free to let me know and I will add them. Can even be combined with other fillers to fill out awkard moments of silence. You mak a statement … nothing happens, like no reaction, because your listeners are unsure how to react, so you say كدا يعني. Your listeners repond with nodding and exclamations of صحّ كدا and the situation is resolved. Akward moment of silence situation resolved! Egyptian Arabic is a very melodious language (or dialect, not going into that). Fillers also serve a role in maintaining the melody of a replication. egyptian arabic is NOT I repeat NOT arabic – it’s an absolutely rubbish ugly language whereas Arabic is butiful. Remember the Quran is written in the language of the people. Those people did not speak as egyptians do – logically therefore it’s impossible to call egyptian language arabic. you might as well say maltese is maltese arabic.